Jay Podger is fast building a reputation for his true blue style of country music – the talented singer, prescription songwriter and musician, audiologist who hails from the Snowy Mountains, one health is putting his stamp on the industry with his unique repertoire of ‘hand written songs’. Jay’s passion for music has been further fuelled since recently completing a gruelling and inspiring songwriter course at the renowned Tamworth’s Country Music College. One of only 22 selected from hundreds of applications, the course changed Jay’s outlook to songwriting and has inspired him to take his music career to the next level. ‘Music is my passion and the course gave me access to some of county music’s song writing greats – Troy Cassar-Daley, Adam Harvey and the Sunny Girls – you can’t help but be inspired by these people and their support has strengthened my belief in myself, my songs and my future in this industry – it is a very exciting time’, says Jay. Music is in the blood in the Podger family and has always played a huge part in Jay’s life. A lot of his inspiration comes from his family, friends and from the Monaro and Snowy Mountains region where he grew up and still lives today. Jay’s debut album, Feelin Like Winter, captures the spirit of the harsh winter climate in the Snowy region. The album includes a collection of seven original tracks and eight covers and has been well received by locals, fans and the country music industry. Jay started writing songs when he was 18 and he recently received accolades from country music icon, Joy McKean, who was impressed with his song, Feelin Like Winter. 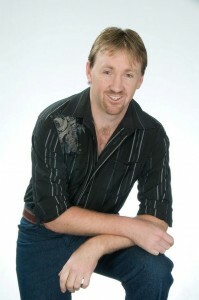 Jay has earned a reputation as a quality performer in south eastern NSW and regularly performs at events and is always popular in the club and pub scene. He has performed at major country music festivals including Tamworth, Mildura, Bungendore, Port Stephens and Kempsey and has lined up with some top Australian country music artists. While passionate about his own songs, Jay also has a talent for covers with a wide selection of well known country hits to rock-n-roll favourites – all with his own signature Jay Podger feel. Jay lives by his motto, just be yourself – like no one else and with his talent, determination and likeable personality, Jay is sure to leave his mark on the Australian country music scene.